One of our favourite things about Edmontonians is that they know how to make good use of summer! It’s even the second sunniest city in Canada with an average of 325 days of sunshine a year. Great weather = festival fun! It’s no wonder Edmonton earned the nickname “Canada’s Festival City.” There are so many events, it’s hard to pick! Luckily, our friends at Explore Edmonton keep a running list of big festivals and intimate excursions that are sure to create memories for the whole family. In no particular order, here are five things to cram into your summer plans before the leaves start to turn. Explore the world without leaving Edmonton! One of the best things about living in Canada is the diversity of our culture. The Ukrainian community is well-established in Alberta (and we LOVE it), but it warms our hearts to celebrate with other cultures. In one weekend, you can sample the cuisine of more than 90 nations! That’s from Afghanistan to Zimbabwe and everywhere in between. There’s even an Indigenous pavilion. Of course, the Ukrainian pavilion will be a popular one, but save some room to feast. It’s all bound to be delicious. Feel-Good Bonus: Each food ticket you buy directly supports Northern Alberta’s cultural not-for-profit groups, charities, and food banks. Doesn’t that make your heart sing? It’s free to get in. Go for the food and stay for the shows. Enjoy singers, dancers, and performers, along with cultural displays, to gain a new appreciation for this mosaic we call home. Is it possible to squeeze any more talent into the city when we attract such world-class acts like Buffy Sainte-Marie, Neko Case, Ry Cooder, Regina Spektor, and The Decemberists (just to name a few)? 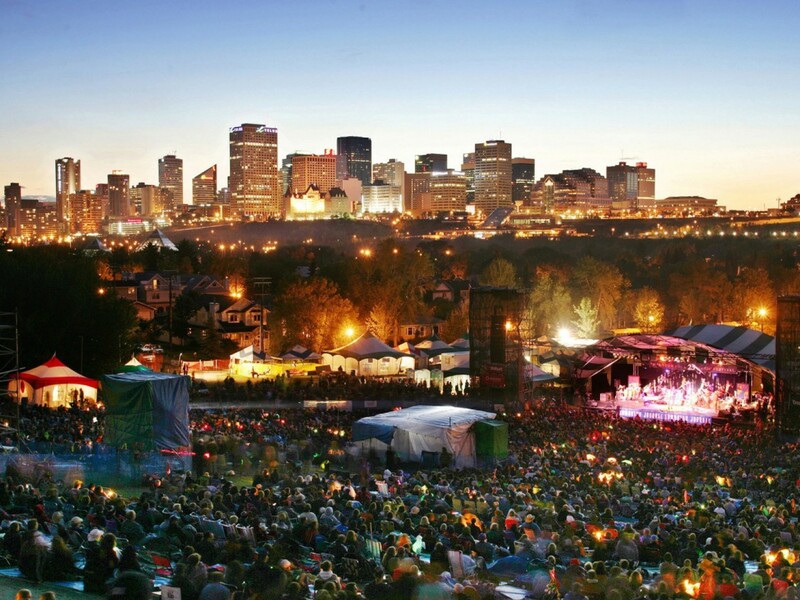 The Edmonton Folk Music Festival is one of those must-see events on any music lover’s bucket list. It’s four days of non-stop fun, food, and tunes. Oh, and there’s a beer tent in case your throat gets sore from singing along all day. Don’t be surprised if a jam session breaks out and DO expect to fall in love with some new up-and-coming acts. Sometimes, musical reunions and surprise mash-ups happen! Kids are welcome, too; children 11 and under get in free. North America’s oldest and largest fringe festival happens in Edmonton! This event draws performers from around the world; there are more than 1,600 performances planned! There’s everything from large theatrical productions, to outdoor stages, to roving buskers. There’s even a KidsFringe—it’s a whole area filled with activities to please families and kids of all ages. And relaxed performances accommodate theatre patrons with social, sensory, or educational needs. There really is something for everyone. That’s what makes Edmonton such an awesome city. It’s a true community that actively brings diversity together. The Fringe Festival is the perfect place to try something new. Make conversation with fellow Fringers, volunteer when performers call out for guests to join them on stage, and sample the variety of foods available…ever try a green onion cake? The fun doesn’t stop once the sun sets. In some cases, it’s just getting started! The next two events are ideal for filling your nights with wonder. Music under the stars? Yes please! 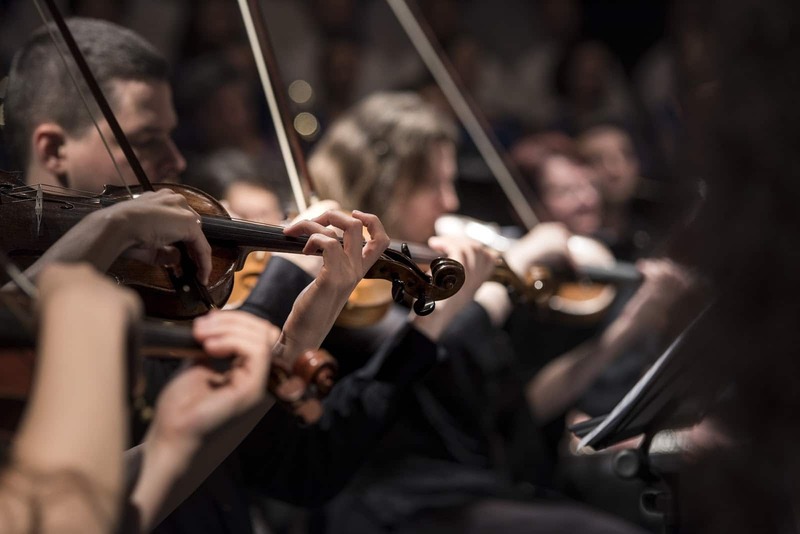 Join the legendary Edmonton Symphony Orchestra as they perform two open-air concerts. Each night has a different theme. Saturday the 1st will feature the hits of Hollywood, including music from Disney, Titanic, Harry Potter, and more. On Sunday the 2nd, they’ll dazzle the audience with favourites from Tchaikovsky, Puccini, and even West Side Story! Imagine for a moment you’re a Voyageur, gracefully gliding through the waterways of Edmonton as the sun slowly drops to the horizon. The call of the loon, a splashing beaver, and the shimmer of a fiery sunset combine for an experience you’ll never forget. 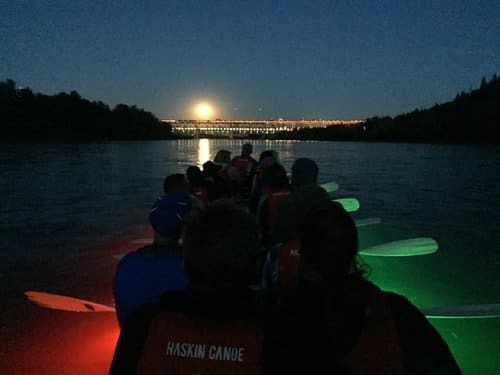 Suitable for both youths and adults, these canoe tours introduce a unique perspective of the city at night. You’ve never seen it like this before. Canada’s Festival City sure lives up to its name! In fact, there are so many things to see and do that we had a hard time stopping at just five. You’ve got to fit doing the laundry in there somewhere, right? With a whirlwind of fun, keep your summer meals easy-breezy with Stawnichy’s. Toss some sausages on the BBQ, and try some of our simple meal suggestions. You’re going to need the energy for all these activities!